I Bought a Fancy Rose Quartz Facial Roller... Does It Work? 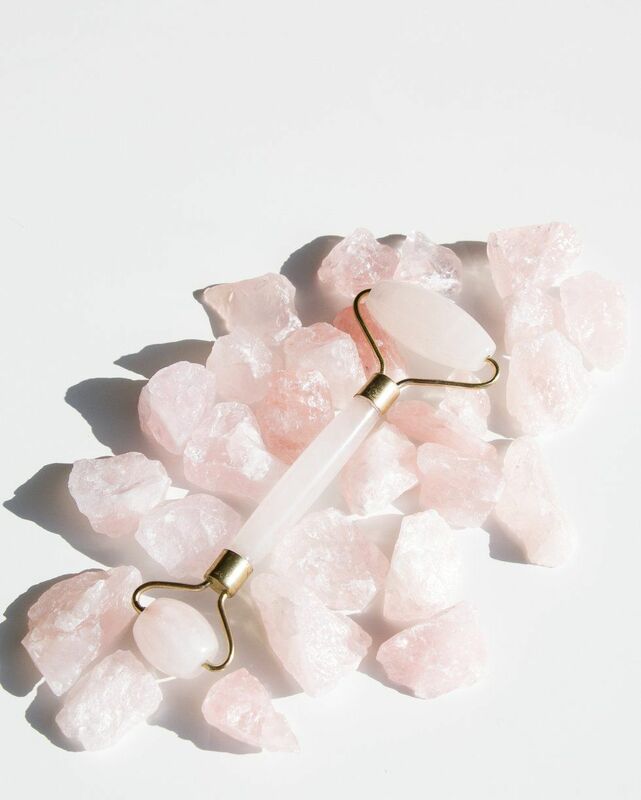 I recently caved in and convinced myself I should order a rose quartz facial roller. I can't deny that I mostly did it because it looks really pretty, but I'm also working on making major improvements as I pave my path in the world of wellness (so it wasn't completely in vain). But, if I'm paying $45 for something it had better work wonders on my face. Upon impact, the roller feels cool to the touch as you gently glide the stone across your skin. The first time I used the roller after cleansing and moisturizing my face, I swore that my skin was sparkling. For the past two months, I have been putting my face to the test to see if this roller enhances my life in some shape or form — is it all mental or would there actually be physical changes, as well? Herbivore claims that their facial rollers improve blood circulation and skin tone, elasticity of the skin, promote lymphatic drainage, reduce puffiness, wrinkles and dark under eye circles, eliminate toxins, and tighten and reduce pore size. After consulting several medical professionals, I was able to confirm that all of this is true. Gina Pulisciano, an aesthetician and founder of Alchemy Holistics, uses a rose quartz facial roller when she gives clients facial treatments. While she has noticed that it reduces redness, improves skin tone and drains the lymphs, she does stress that these are only temporary results. "The benefits are the most noticeable when used as part of a full facial service," she explains. "For example, you can't just roll some rose quartz on your face and expect miracles. It's not going to improve the elasticity of the skin or reduce wrinkles." RealSelf contributor Dr. Michele Green agrees that the benefits are mostly short-lived. "These benefits would be minimal and short term as there is no scientific proof that the crystal has any chemical properties which can achieve these results long term," she says. "The design of the rollers and its natural coldness if refrigerated can achieve these benefits short term in my opinion." In general, the size of your pores is constantly in flux. Pulisciano points out that rose quartz can shrink pores because of its natural cooling stone properties. She adds, "I think it's more about the luxury of rolling a rose quartz stone over your face, and if it makes you feel good, why not?" Kathleen Lisson, a certified lymphedema therapist in San Diego, CA and author of Swollen, Bloated and Puffy, recommends facial rollers to her clients to reduce swelling. "If refrigerated, the rollers provide a small amount of relief from swelling in the same way that an ice cube facial would, but with less mess," she says. "The main way face rollers help the lymphatic system is when they are used to stretch facial skin in the direction of lymph nodes in front of the ears." Of course, none of this works if you're not doing it properly. Lisson recommends "rolling the face from the center of the face in an outward direction" until the skin stretches. I typically use the rose quartz facial roller after I go through my night time skin care routine which includes a handful of facial oils and helps them submerge deeper into the skin. If I'm not in a rush in the morning, I'll also take a few extra minutes to use the smaller end of the roller around my eyes to reduce puffiness. So has Herbivore's rose quartz facial roller actually made a difference in my life? I truly believe so. The texture of my skin has never been this consistently smooth. I have been battling acne for years and it tends to get worse when I'm on my period, but ever since I started using the facial roller I haven't been cursed with any horrific cysts on my cheek. While I don't suffer from anxiety, I do feel like it has helped with reducing the amount of tension that I subconsciously hold in my face. As far as self-love is concerned, that continues to be a work in progress! If the rose quartz is a little too pricey for you, Herbivore also carries a jade facial roller for $25. Fat and All That: Why Do People Hate the F Word?